Autopilot Consulting, LLC founder Patrick Caldwell has joined forces with long time friend and coworker James Brechtel to found Mobile Magic Developers, LLC. James and I worked together for a few years several years ago and have been close friends ever since. It was an easy decision to get together and start developing mobile applications. 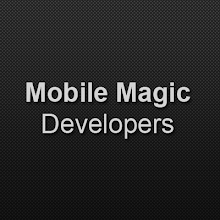 Mobile Magic Developers focuses on developing fun and exciting mobile products like educational mobile applications for kids, amusing home screen widgets, and mobile utilities. Autopilot Consulting focuses on … well consulting. When your company is ready for your own custom mobile application, come talk to Autopilot about how we can help you wow your customers and outshine your competitors with a mobile application of your own. We'll apply our mobile experience as well as the talents of Mobile Magic to make sure you get the biggest mobile bang for your buck. Mobile applications come in several varieties. Whether you're interested in native mobile applications or mobile skins for your web applications, we have the experience to get you there, save you money, and help you make the best decisions for your business, your customer, and your future. I was working on a mainframe migration project a while back to move an application from Adabas and Natural to Sql Server and C#. Software AG developed Adabas and Natural back in the 70's so I was very pleased to have some Software AG developers and managers on the team. Shortly into the project, one of the managers recommended a product Software AG has that translates Natural code into C#. Much to the surprise of my teammate, I recommended strongly against the software. In fact, if you've read any of my other mainframe migration articles, you know I was recommending against a "migration" strategy altogether (a lift-and-shift my teammate called it) vs. a guided redevelopment strategy. In the process of making my argument, I spent a fair amount of time positing that a source code translation tool is very little more than hiring a bad programmer because he's fast and cheap. The customer did decide not to use the translation tool, but in the process of making my argument, my curiosity was piqued (and I do have something of a strong research background) so I put together the What Really Makes a Good Programmer Survey. For an in depth discussion of the results, see my Results of the "What Really Makes a Good Programmer" Survey post. If you can't view this chart, I managed to keep a copy of the What Really Makes a Good Programmer Chart from the legacy charts API. So, back to my original stipulation that "a source code translation tool is very little more than hiring a bad programmer because he's fast and cheap." While I still believe that statement to be true, when I conducted my survey, I asked the question in a more positive way so I can't actually claim that the tool is a bad programmer. I believe that it is analogous to a bad programmer; I just can't support that claim with these data. I'll explain why, but first, for the pedants, statements like "the community represented in my responses appears to believe that having good problem solving skills contributes to being a good programmer" will be abbreviated to "having good problem solving skills contributes to being a good programmer." That being said, the data suggest that having good problem solving skills contributes to being a good programmer. If that stipulation is true, then the contrapositive must also be true that not being a good programmer means not having good problem solving skills. The inverse, however, is not necessarily true so I cannot claim that not having good problem solving skills contributes to not being a good programmer. I'll let you decide on the validity of that statement, but for the purposes of this post, I'll change my argument to, "using a source code translation tool is little more than hiring a programmer, who lacks the traits of a good programmer, simply because he's fast and cheap." Think of a translation tool and go through the list of traits. The translation tool does not have problem solving skills at all, can't learn from experience and certainly isn't interested in doing so, has no passion, and doesn't even know what a big picture is let alone the big picture with your application in your environment. It may be able to recognize patterns technically, but it likely won't recognize patterns that are meaningful to your application. It's also unlikely that the tool will communicate effectively, create and try new approaches, or be interested in helping others. I suppose you could say it's detail oriented (as long as the details are explicit and don't require problem solving) and it seeks help when needed (likely by way of errors). It's probably faster than a good programmer, though this may be negated if it's lack of the aforementioned traits produces less than useful results; that is to say as long as you don't need a programmer to fix the translation once it's finished the speed may be beneficial. Another good thing about the tool is that it's possibly cheaper than a good programmer (see previous caveat) and it's arguably well educated, but that doesn't seem to constitute a good programmer according to the survey. Software development is an art almost as much as it is an engineering field. You hear many people talk of software craftsmanship. Allowing a craftsman to rewrite your application in the new framework from scratch using the old application as a guide will allow her to provide a unique expertise that translation tools currently don't have. She'll be able to apply a high level human analysis that the tool cannot. For example, imagine there's a bug in the old code? The programmer can spot and fix the bug, but the tool will translate it into a prettier and newer bug. What if the old code is doing something unique to that language because the language doesn't have the features of the current language. A programmer can take advantage of these features and the tool cannot. A programmer will naturally analyze your business process as the application comes together and will make recommendations that may make your new application even better than the old one was in its heyday; the tool will not. I can think of dozens of examples like this and I'm sure you can as well. Ultimately, I believe that allowing a tool to convert your legacy code into newer legacy code is a waste of time, money, and opportunity and if it doesn't cost more in the short run, it will cost more in the long run. I was digging through the framework today looking for another good dotPeek of the Week topic. I was perusing the Lazy<T> class and found an interesting snippet. This post isn't quite like my previous dotPeek of the Weeks insofar as this is more of an example of what not to do. This is certainly merely my opinion, but one rule I try to follow when writing code is that more expressive is almost always better than less expressive. When I was looking at the Lazy class, I found a great example of this. Is there anything you notice about this code? Perhaps any unanswered questions as you read it and try to figure out what it does? Specifically, what exactly constitutes the default case? As I read through this code, learning about some of the interesting thread safety techniques, I found myself pondering, "why would locking be the default behavior? In fact, what is the default case? Do the default values have something in common?" That's when I decided that, in most cases, when you're switching on a reasonably small set of values, it's best to express these values explicitly so that the people (including you) who have to maintain the code can better understand why the default case is the default case … even if there are no comments. Personally, I find the latter example much more expressive. It's obvious to me what the three cases are and I don't have to wonder what possible values can become the default case. In fact, I may even go so far as having the default case throw an exception in this class. I'd do this so that, for whatever reason, if someone were to change the LazyThreadSafetyMode enum and not implement that case for the new values in Lazy<T>.LazyInitValue(), they'd get an exception in testing instead of incorrectly using the default functionality. Elon University's part-time MBA program deserves a lot of credit for the success of Autopilot Consulting. Bloomberg Businessweek recently gave the Martha and Spencer Love School of Business (LSB) much deserved recognition. In The Best Business Schools of 2011, Elon's MBA program was ranked first among competitors like UCLA, Carnegie Mellon, UC-Berkley, and Rice. When I was looking for an MBA program to attend, I compared Elon's program with Duke University's and UNC's programs and was blown away by the comparative quality of the LSB program; the experience, friendliness, and helpfulness of the staff and faculty; and the extraordinarily low price tag. Congratulations to the Elon LSB Faculty, Staff, Students, and Alum on a job well done.